Weber currently dominates the grill market in the US. Their Summit is designed to deliver a professional output at a fraction of the price. Lynx is the original pro grill and is defending their position with a lower-priced unit, the Sedona. So how does Weber compare to the lower-priced Lynx Sedona? We will look at the company, the products, and then compare both. In 1952 George Stephen Sr. cut a buoy in half, added some metal legs, cut some air vents in the top, added a handle, and thus invented a grill that jumped started the barbecue revolution. He got the idea when he was working at Weber brother’s Metal Works in Chicago where they manufacture marine buoys. Today, Weber grills are sold in more than 72 countries. Their factories are located in Palatine and Huntley, Illinois. Their lower priced Spirit and Genesis II are now made in China. 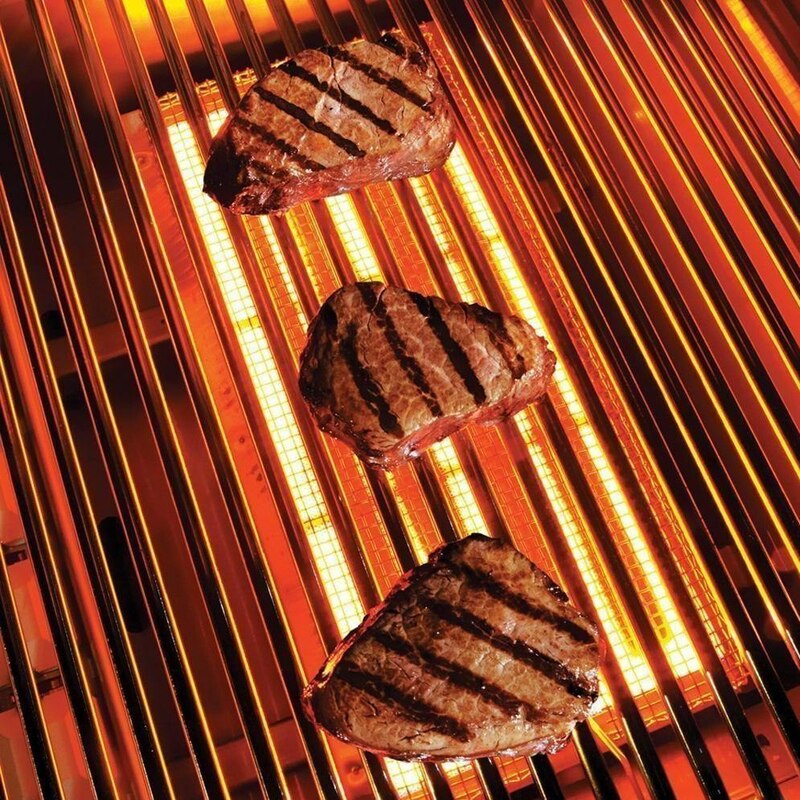 Lynx Professional Grills was started in 1996. 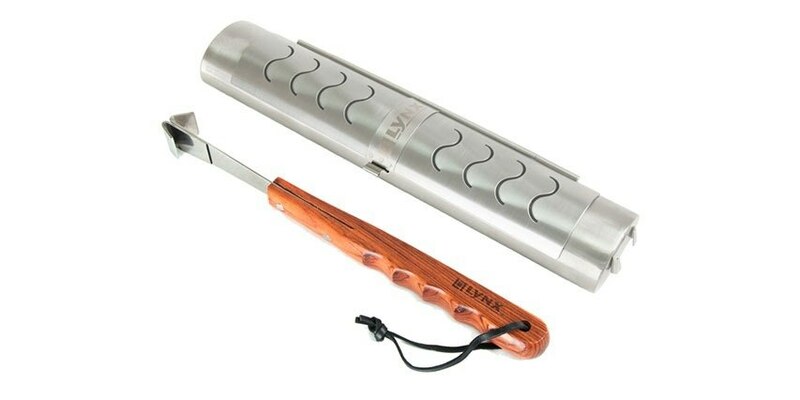 The development of Lynx Grills formed from a group of people, who for over 30 years were deeply involved in the development of stainless steel products for the commercial restaurant industry under the brand BECA. Lynx grills are currently manufactured in Downey, California. Lynx has been on the forefront of innovation, engineering experience, and proprietary technologies. Wow, tough question. The Weber is a proven performer. 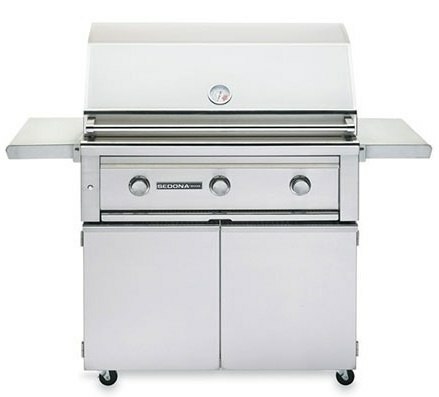 It’s reliable and has consistently been one of the least repaired grills we sell. Weber has great power but at a more attractive price point. Their integrated LED tank scale on the control panel shows the fuel level on LP models making it easy to see when you need a new tank. 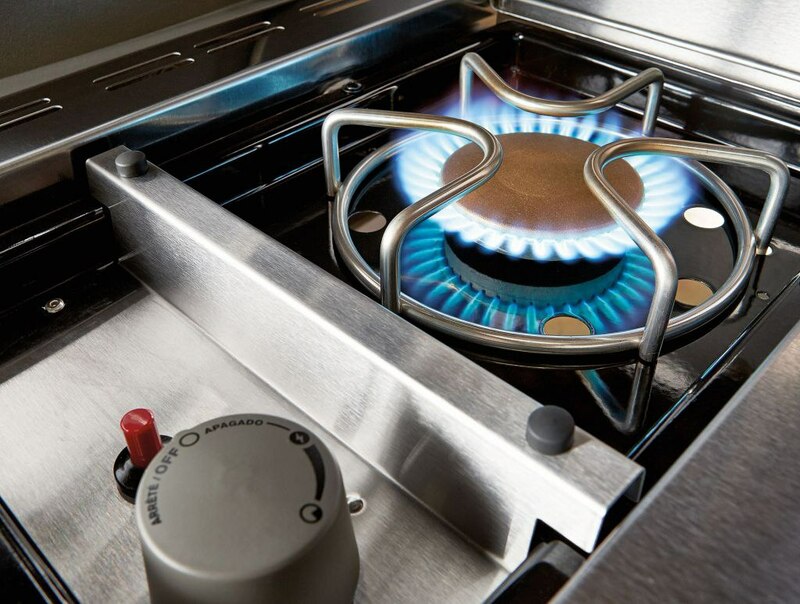 Their Tuck-Away rotisserie system with a flip up motor is real sleek. They also have a separate spit and fork storage area, so they do not go missing on you. 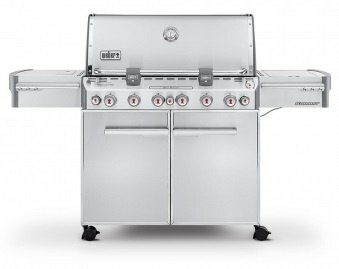 Weber also has the smoker burner to give you the flexibility to add Smokey flavor to any grilled meal. 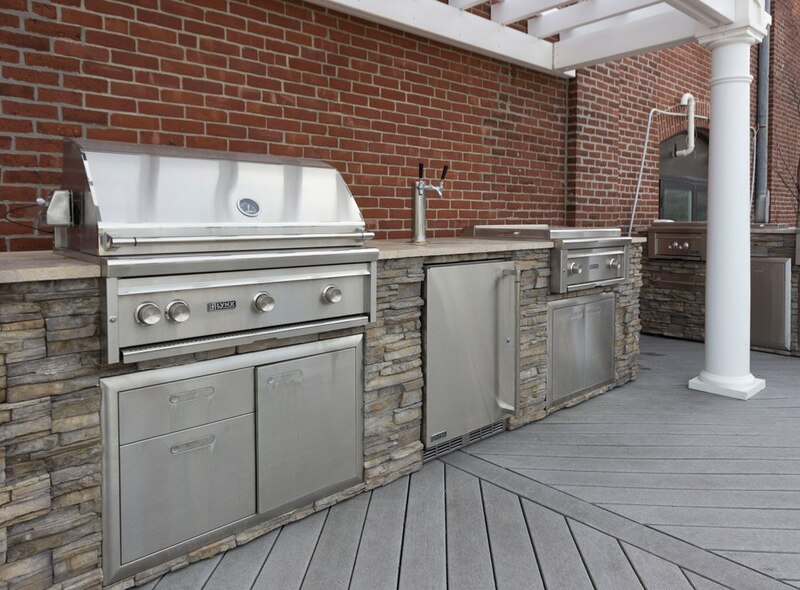 The Lynx is a stunning grill with advanced welding, resulting in a seamless finished look. Their ProSear infrared burner allows for unprecedented variable temperature control. You can sear in the flavors up to 1,000 degrees, and then go as low as 275 degrees for delicate seafood and other dishes like fruit and veggies. 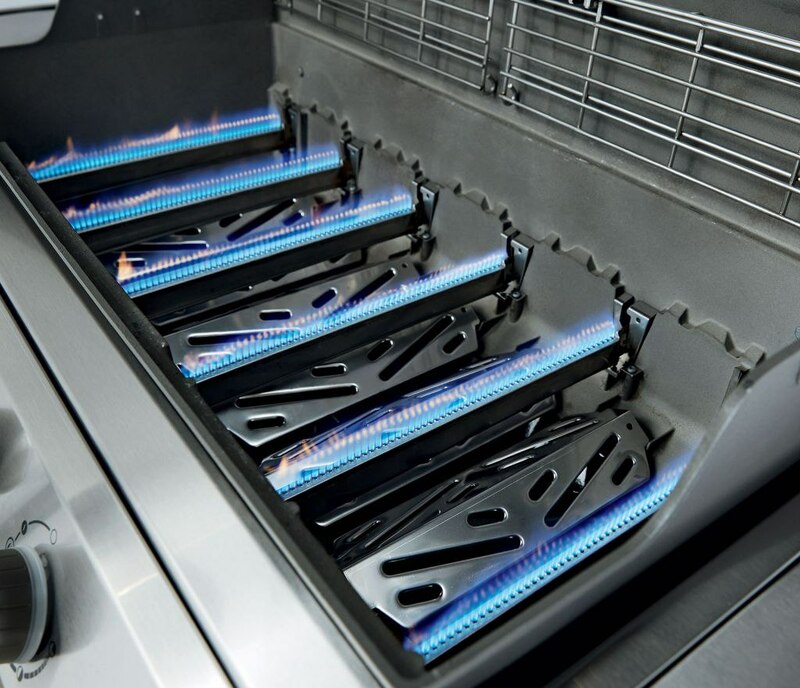 Lynx also has a 23,000 BTU burner and better burner capability than the 10,000 BTU per burner Weber, so you can grill thicker cuts of meat better with The Sedona. So the Lynx will cook faster and sear way better than the Weber. However, the Summit has an integrated smoker box for infusing flavors into your food. Lynx has an aftermarket smoker box, which is not as efficient. The Lynx’s hood assist allows for easy and safe lifting of the hood with one finger, so you can open it while holding a plate of food. Both are ideal grills. Sedona is better for output as well as overall fit and finish, but the Summit has the smoker and burners at a much lower price. Get the Yale BBQ Buyers Guide with features, specs, and inside tips to all the brands. Over 225,000 people have read a Yale Guide.